The construction of the new day care in St Melaine is continuing this week, despite the bad weather! Meanwhile, Marianne ALARY continue the pre-registration and the visit with the families interested. The kiwis team is also working on the recruitment of the new staff for the new day care in September. 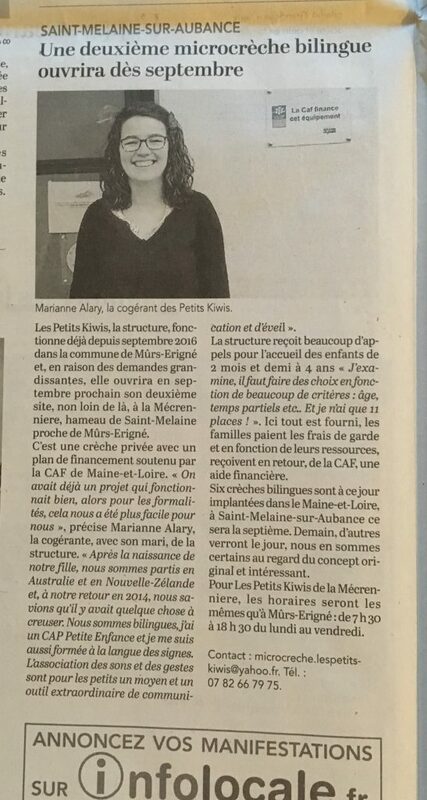 Last week, the local journalist from Courrier de l’Ouest came to visit the Little Kiwis in Murs-Erigné to write an article about the opening of a new day care in Saint Melaine sur Aubance. You can read the article below.